Summer is here which means it's time for parents to keep their kids learning at home now that school is out. It is possible to sneak in learning time amidst all the carefree frolicking and fun and you don't have to be a certified teacher to do it. I promise! Today, I am kicking off a Summer Learning Series with some of my blogging friends. Over the next 3 weeks we will be bringing you easy, doable and fun ideas for learning at home, learning on the go and learning while on vacation. 1. 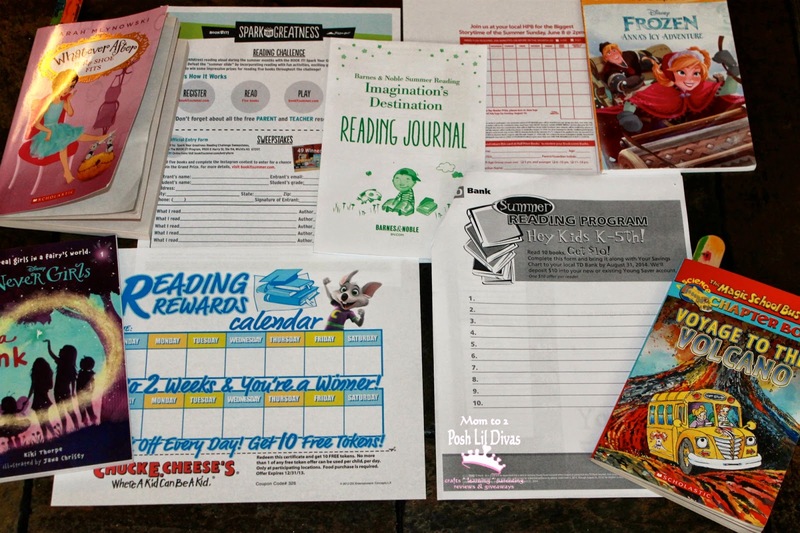 Encourage summer reading by enrolling in fun Summer Reading Incentive Programs. 2. Make reading part of your summer routine with these Top 10 Ways to Get Kids Reading. 3. 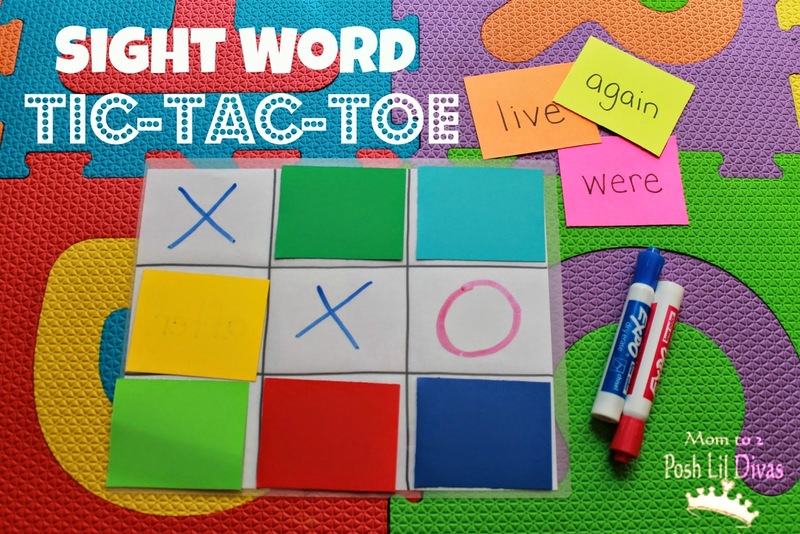 Play Sight Word Games - I have 100+ activities pinned on my Sight Word Fun Pinterest Board. 4. Read Together! Delve into a new series, explore more books featuring favorite characters or read a children's classic together. Time spent reading at home together in invaluable. I have hundreds of book suggestions on my Reading (for kids) Pinterest Board. 5. 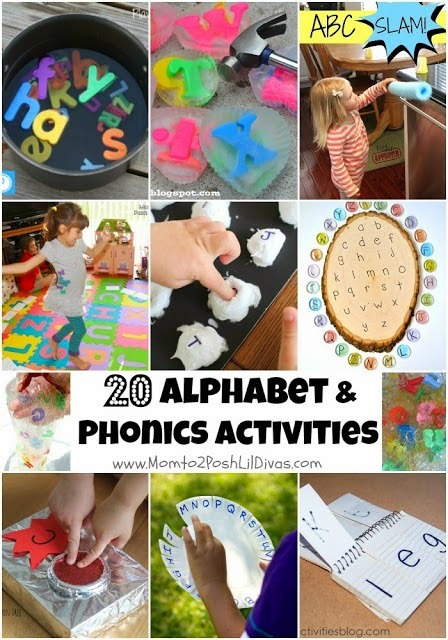 Engage children in Phonics Activities that will help them build a solid foundation for reading. 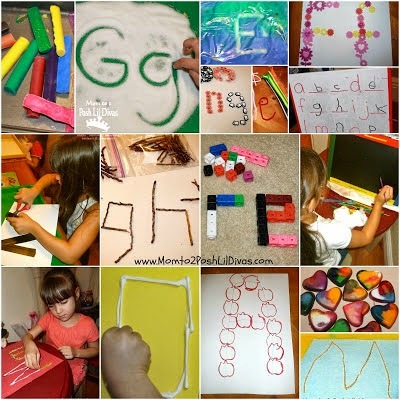 I have compiled some great hands-on activities on my Phonics Fun Pinterest Board. 6. It is equally important to keep children writing over the summer. I'm not stuck on grammar lessons but I am a huge proponent of journaling and exploring different forms of writing (letters, poetry, paragraphs, stories, etc). 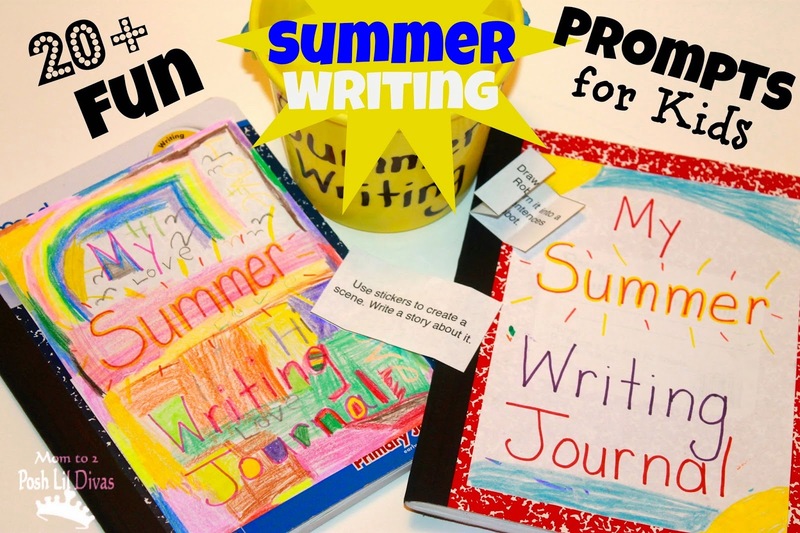 I have some awesome writing activities on my Kid Writing Ideas Pinterest Board. 7. For younger children it is important to spend time on developing their overall handwriting skills - forming letters and writing legibly. You'd be surprised at how little time there is to spend on formal handwriting in school. Practicing at home is ideal. 8. Sneak in some hands-on, active and engaging spelling activities. 9. Make your own mini books using 1 sheet of paper. Then get creative - write a story, create a comic or become the author of your very own book. 10. Make a Summer Scrapbook/Memory Book. Encourage children to write about each picture they include - Where were they? What did they do? Who else was with them? 11. 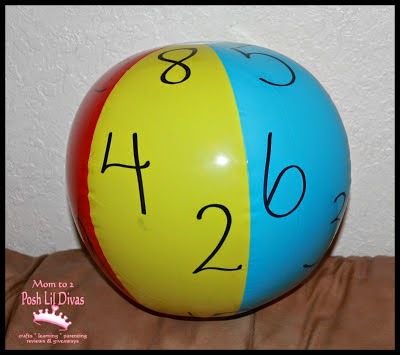 Grab a beach ball (you can find them at the Dollar Store) and play math games to practice basic math - addition, subtraction, multiplication and number recognition for younger children. 12. Use a deck of cards to play more math games. 13. 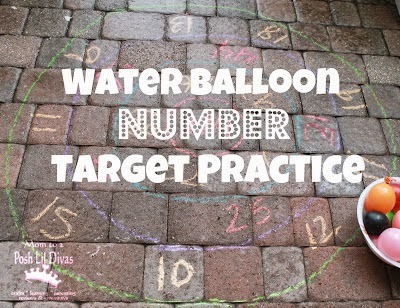 Head outside on a hot day and play Water Balloon Number Number Target Practice. 14. Learn multiplication with these 10 hands-on games. 15. Check out a free Math Website for kids. Summer Reading: Graph 1000 Minutes! 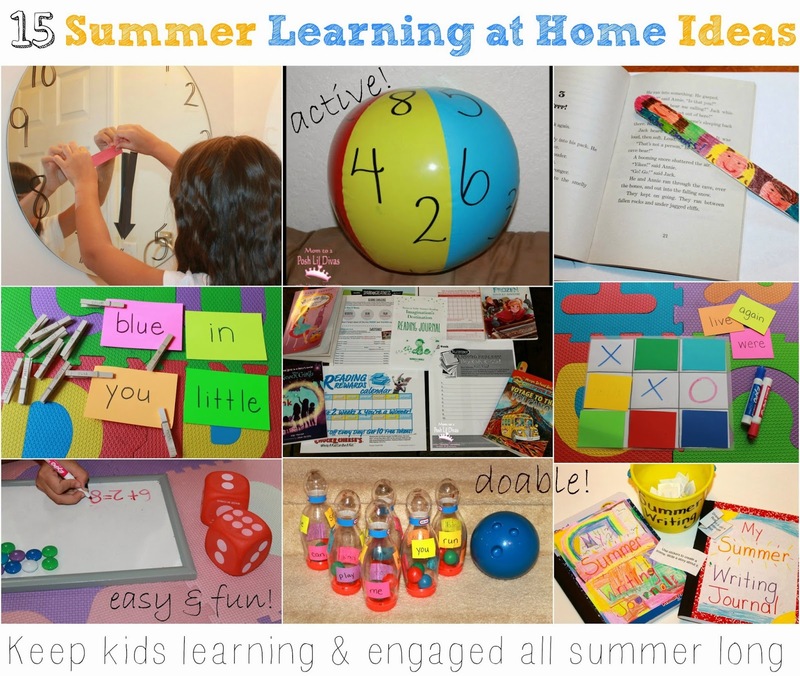 Have fun learning at home this summer!